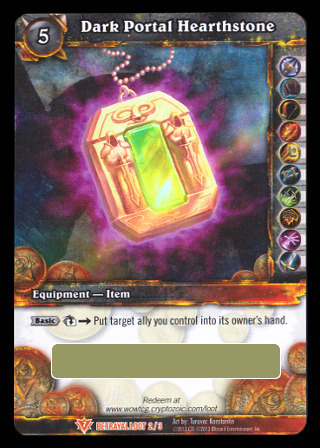 This was obtained via the Dark Portal Hearthstone card in the TCG expansion "Betrayal of the Guardian". 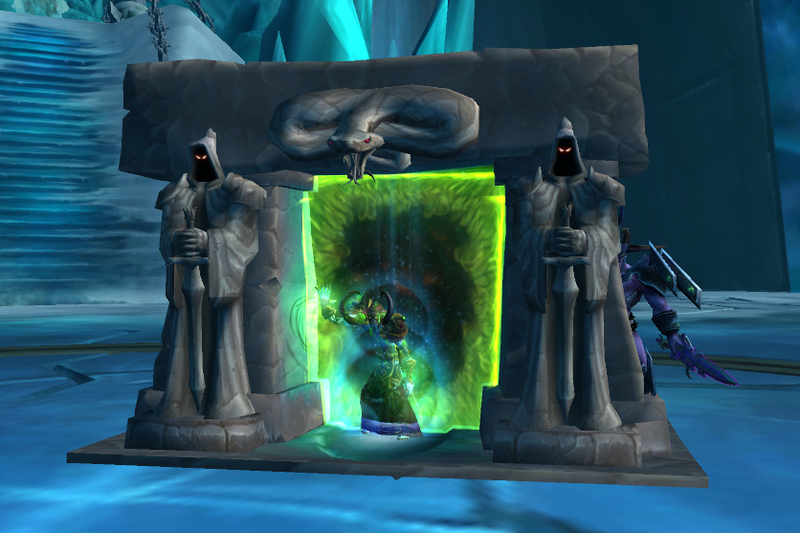 It essentially replaces the Hearthstone. 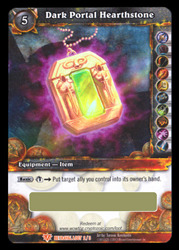 For more information about the card, please visit WoW TCG Loot: Dark Portal Hearthstone. 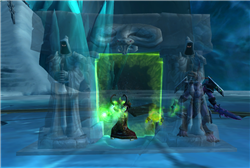 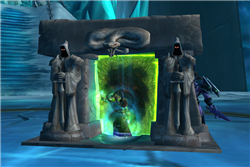 When used, a smaller version of the Dark Portal in Blasted Lands / Hellfire Peninsula will appear with the player in the middle of it.